What’s a six-letter word, starting with “f,” that describes your destiny as a German learner? Crossword puzzles are a great way to practice German and build your vocabulary. The more you play with words and ponder over their clues, the better a German speaker you’ll become. In this post, we’re going to discuss how you can learn German via crosswords. In German, “crossword” translates to das Kreuzworträtsel, or “the cross-word-riddle/puzzle.” They work the same way as any English crossword. Do you have your thinking cap on? Then let’s dive into some German crosswords! How Can Crosswords Improve My German? Word games in any language improve your vocabulary, spelling skills and help you associate terms with their meanings. Because the premise of a crossword is to build a web of words off a single main word, spelling is especially critical. If you misspell even a single word, the entire network of terms will be compromised. Central to this concept as well is the associated meaning you assign mentally to the terms you’re working with. You may think of German terms in new ways after deciphering the crossword clues. At the same time, you’ll start to become versed in the art of circumlocution. It’s a skill most hilariously implemented by tourists when they need to find the bathroom but don’t exactly know the word, so they speak “around” the term—describing it by using associations. Hand signals, noises and even facial expressions can be a part of this process. Think Pictionary or charades. Finally, crosswords can be a great way to reinforce German vocabulary. In fact, creating your own crossword with your daily, weekly or monthly list of vocabulary words may help you learn those words faster. Not sure how to create your own crossword? No worries! We’ll show you how later in this article. 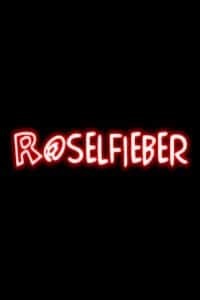 What Other Word Games Can Help Me Practice German? Word Search, Upwords and Hangman are just a few of the games you can play alone or with others to improve your German fluency. 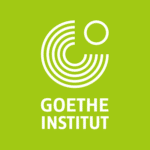 Good old riddles—in German of course—can help you with vocabulary as well. FluentU is an app that puts a unique twist on German word games. 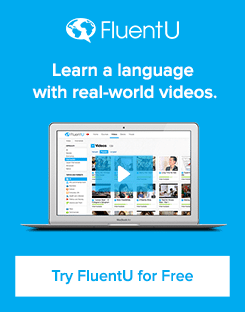 FluentU provides authentic German videos—like movie trailers, music videos, inspiring talks and more—that’ve been transformed into fun, personalized German learning experiences. Every video comes with clickable subtitles so you pick up German words while you watch. Then, there are multimedia flashcards and exercises tailor-made for each video so you remember everything you’ve just learned. If you want to learn German the way native speakers actually use it while giving your vocabulary a fun workout, check out FluentU on your browser, iOS or Android device. If you enjoy using pen and paper, you can try your hand at poetry and write an acrostic poem. 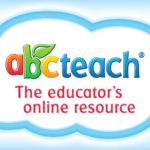 Acrostics use the letters of a word or name as the first letter for each line. 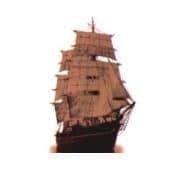 For example, an acrostic made from the name “Sam” would start off with a word beginning with “s” as the first line, “a” as the second line and “m” as the third line. Practicing German with crosswords doesn’t have to take all day. In fact, it’s a task you can complete during your commute, at lunch or even before bed. Here are just a few ways you can practice your German with the use of crosswords. 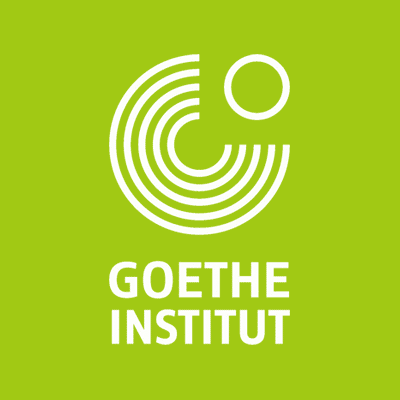 The Goethe Institut has this teaching app that’s best suited for beginner speakers. 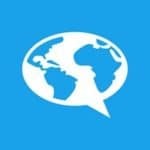 Incorporating crosswords into its lessons, the app offers a well-rounded approach that might aid those just getting started in their German-language career. 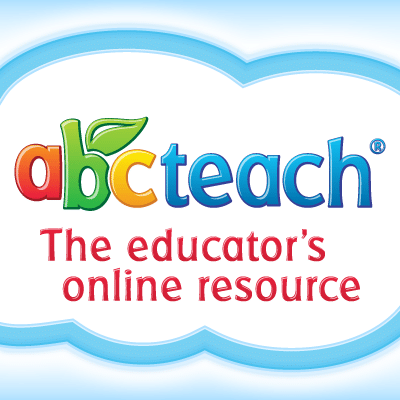 On this website, you can choose from a list of topics that best fit your vocabulary practice needs. It’s an especially useful site for beginners, with topics including “basic foods,” “body,” “time and seasons” and more. If a daily German crossword routine is something you’re interested in, Lexis Rex is your resource. Their website offers a new crossword each day, with clues in English and answers in German. This is a great way to start out if you’re just learning German, because you’ll be able to think of the terms via their English definition while at the same time associating the German word with the English translation. For another daily web resource, check out the German-language site Rätselfieber. Crosswords can be solved directly on the website and users can check their answers for accuracy. This one may be better for upper-beginner to intermediate learners (and up) since all clues and answers are in German. If mobile is more your style, we found this app to be a well-liked choice. You can choose the size of your crossword—either 9-by-9, 11-by-11, 13-by-13 or 15-by-15 squares—and you can modify the settings to be extremely helpful or simply a small push of guidance. The clues are in German, along with the answers, of course, so this app is better suited to more advanced speakers. Feeling a bit more old-school? Believe it or not, there are still paper books out there that’ll help you practice your German vocabulary. Here’s where to find some of the best print crosswords—the options range in price but cost no more than you might spend on a typical workbook. Amazon offers authentic German crosswords as well as English/German crosswords for language learners. Many of Amazon’s German-language crossword selections come from the same series, so you can follow them from easy to difficult depending on where your language skills are. 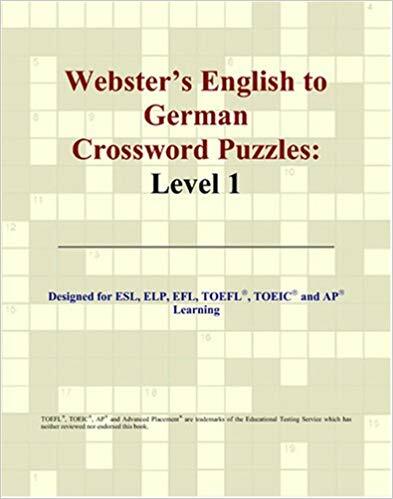 As for language learner crosswords, one in particular that we’d recommend is “Webster’s English to German Crossword Puzzles: Level 1,” an invaluable resource for any beginner. Lexis Rex, which we mentioned above, also has print crosswords for language learners available on Amazon. 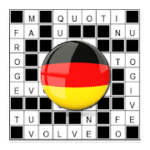 If you’re just looking for a few free crosswords to keep you out of trouble, this resource will allow you to download and print German crosswords of various themes and formats. For most of these puzzles, the clues are in German but the answers are in English. This is also a great way to practice your German-speaking skills, because going back and forth between the two in both directions strengthens the associations you make. 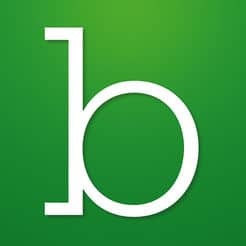 Booktopia is another resource to check out for German crossword books if you’re located in Australia or New Zealand. Searching “crosswords” will bring up their English-to-English results, so use the term “German crosswords.” You can also try the German equivalent “deutsche kreuzworträtsel” or simply “kreuzworträtsel” periodically (as of this writing, there are no titles listed under those terms). “Easy German Crossword Puzzles” by Suzanne Ehrlich is a great choice for building everyday German vocabulary. Could you create a crossword from 15 English words in about 20 minutes? The clues might take a bit longer to write, sure, but it’s a doable task. Creating your own crossword in German shouldn’t take much longer than that. It’s simply a matter of putting pen to paper. In fact, you don’t even necessarily need physical materials if you prefer to use online resources. 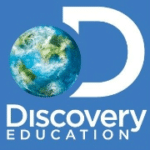 Discovery Education’s Puzzlemaker site allows you to create your own crossword with clues for free. Before you begin, you should come up with a list of words you want to practice. If you don’t have a specific vocabulary list already, think of the words you tend to forget or ones that you find hard to remember. You can even come up with a list centered around themes, if you’d like. Whichever method works best for you—just make sure you have a list of words and their associated meanings. And yes, spell check them before you even begin. For your first crossword, it’s probably easiest to just use the associated meaning for the clues. For example, using “apple” for Apfel will suffice. However, as you progress, you should increase the complexity of your clues as well. Instead of “apple,” you might say “das rotes Obst” (“the red fruit”). This is where the art of circumlocution begins and truly blossoms. Your first word in the crossword should be the longest one. That way you’ll have ample opportunities to build off of it in a variety of directions. Draw out the appropriate number of squares, name the row “1” and place the corresponding clue under “Across.” You might find it easiest to mark the word off your list as well, so you don’t duplicate it later on. Building the list from there is really just like a Scrabble game. Make sure to number rows and columns as you go and place clues under each appropriate header. This crossword will act as your key of course, since you’ll essentially be completing it as you build it, but once it’s finished, simply transfer the boxes and clues to another sheet of paper and you’ve got yourself a crossword to complete! The best way to test your knowledge is to work with a few friends or classmates who are using the same vocabulary list. Swap crosswords and see how many you can solve! For more advanced speakers, find an English crossword that you can solve. Once it has been filled out completely, see if you can translate the English crossword to German, whether that means using the same English clues or creating German equivalents. It’s inevitable that you’ll have to move a few words around and rework placement in some cases, but it’s an added challenge that’ll truly test your skills. These are just a few of the ways you can manipulate words to increase your German fluency. You don’t have to dread vocabulary practice anymore—just gather your friends, whip up a few German crosswords and you’ll be speaking like a native sooner than you think!